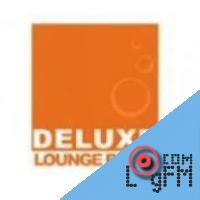 Description: DELUXE RADIO und DELUXE LOUNGE RADIO ergдnzen als Hцrfunkangebote die Programmpalette perfekt. Beide sind ьber Satellit, in ausgewдhlten Kabelnetzen wie auch im Internet unverschlьsselt und kostenfrei empfangbar. Advertising: . leon bet At LogFm.com you can listen to any of the 45,000 radio stations online. We have made it easy for you to find your favorite radio, listen to the music you like, find the best new songs, listen to the latest news, etc. Simply type the station name in the search box and enjoy your choice. Listen to the radio online at LogFm.com. Our E-mail: info@logfm.com. Live Deluxe Lounge. Rock and pop music, to listen to the latest news online.All rights reserved. 2009-2019 © LogFm.com.